Exar - Europäische Vereinigung zur Förderung der Experimentellen Archäologie e.V. 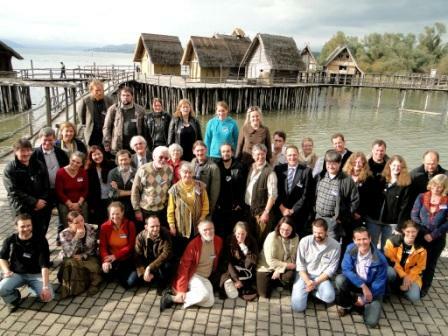 EXAR, the European Association for the advancement of archaeology by experiment, is a union of persons and person combinations, which has the goal of establishing experimental archaeology as scientific method in the archaeology, to represent the interests of its members inward and outward as well as to publish the results of the experimental archaeology for a broad scientific and not scientific public. EXAR offers a forum for scientists and scientific laymen, to present and publish their realizations in archaeological handcraft and reconstructing archaeology. In addition EXAR organizes annually in October conferences at home and abroad, with which experiences can be exchanged. EXAR not only offers a platform in the appearing annual „Experimentelle Archäologie in Europa“ for the publication of the results. Also special edited thematic publications underline the goal to promote experimental archaeology and make outstanding work accessible for a broad public. 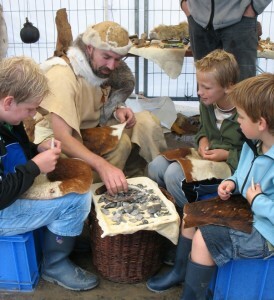 Since 2009 the members receive an appearing quarterly E-Newsletter with information from the executive committee, news from the range of the experimental archaeology as well as information of exhibitions and meetings.